On December 8, 2015, Solemnity of the Immaculate Conception, Pope Francis will open the doors of St. Peter’s Basilica to proclaim the beginning of the Jubilee of Mercy. 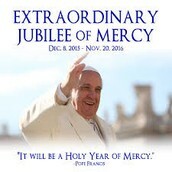 He is calling all Catholics to reflect on the mercy of God. Pope Francis wants us all to remember that we receive God’s mercy as a gift of grace. 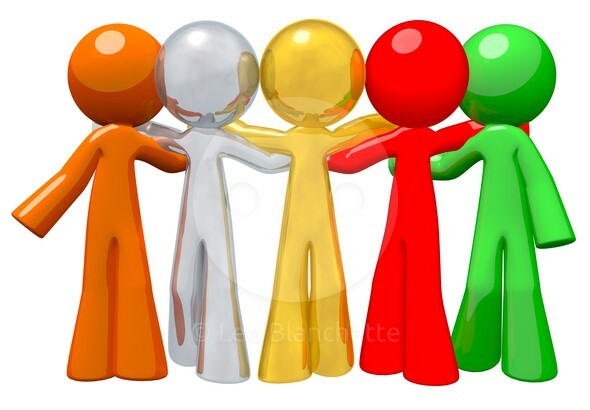 We thank God in our own merciful thoughts, words and actions toward others. Prayer: Lord, as we continue our Advent Journey, help us recognize your merciful love through your grace. 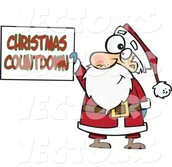 The Countdown Continues . . . . . . . .
Christmas Play Rehearsal at 1:00 p.m. today, Monday, December 7th, and tomorrow, Tuesday, December 8th. Christmas Program at 7:00 p.m. on Friday, December 11th. *Please take note of venue change. Please bring your Chromebook to the meeting. Thank you very much for preparing our students for our upcoming Christmas Program. Please find below our schedule till our performance night. December 11 Christmas Program at 7 p.m.
For today, we will practice the entire program at the church. There are students assigned to call your class as your turn to perform comes. Your class will be taken to our holding room, which is the Church Hall, as you wait for your turn to sing. After your class performs, please usher your students out of the church using the entrance / exit door on the left facing the altar and take them back to your classroom. Kindergarteners will be in the "kitchen" room. Sr. Rosabel will be at the Hall to get everyone organized. The past weekend was quite hectic. Thank you very much to all of you who came and supported our Christmas Faire last Friday and Saturday, including those who attended the The Gift of Music concert. 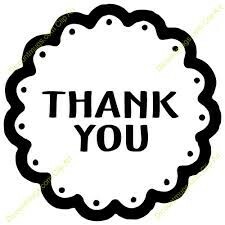 Appreciation also goes to those who came to our Family Mass yesterday. 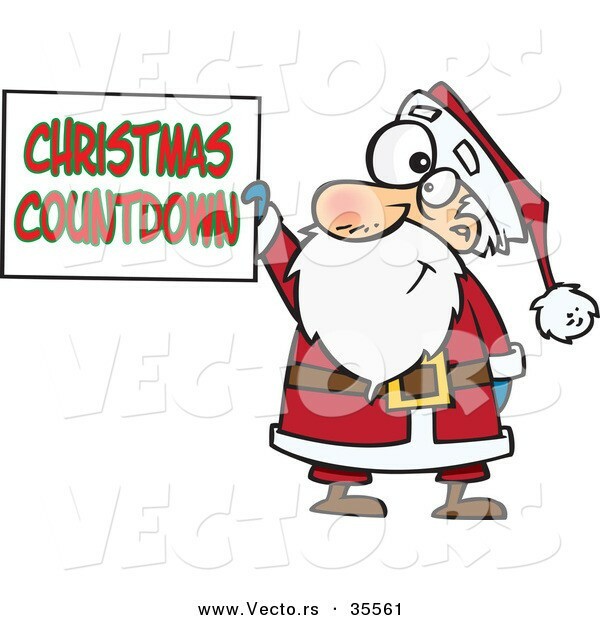 Just a reminder: We are having the OLM Christmas Party at 1:00 p.m. - 3:00 p.m. on Friday, December 18th, at Lucky Chances. The OLM Parish Office staff members have also been invited to join us that afternoon. It surely promises to be one fun Christmas and end-of-the-year celebration. Just a reminder: 3rd and 4th Grade teachers are in charge of the Faculty Room clean-up this week. The sign-up is on the board. Thanks! *Answered 7-out-of-7 qualifying questions correctly. He is also the 2013 and 2014 OLM School Champion. 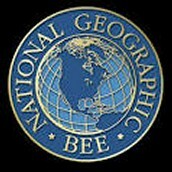 Students will have the Christmas Break to practice questions and study by going to the National Geographic Geography Bee Website and “Take the Daily Quiz.” The School Round and Championship Round will be on Friday, January 8, in the Church Hall at 1:30 p.m. It's that time of the month again. 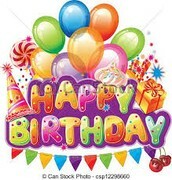 We are having our monthly birthday celebration on Wednesday, December 9th, at the Faculty Lounge. Please come to the Faculty Lounge to honor our December celebrants. 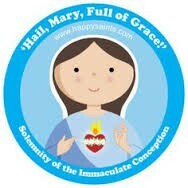 To celebrate the Feast of the Immaculate Conception of Mary, we are moving our scheduled school mass next month (originally on Wednesday, December 16th) to 10:30 a.m. on Tuesday, December 8th. Please do encourage our families to turn in their completed forms as soon as possible. Also, please share the information to all alumni that you may be in contact with. Our orchestrated effort to get the word out would help make this project a big success. Thank you very much! We will once again have the H20 Show from Earthcapades for K - 6th graders at 1:30 p.m. on Thursday, December 17th, at the Church Hall. 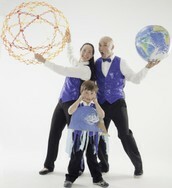 For more information on Earthcapade, please click on the following link: www.http://earthcapades.com. December 11: Christmas Program at 7:00 p.m.
December 16 School Mass at 10:00 a.m.